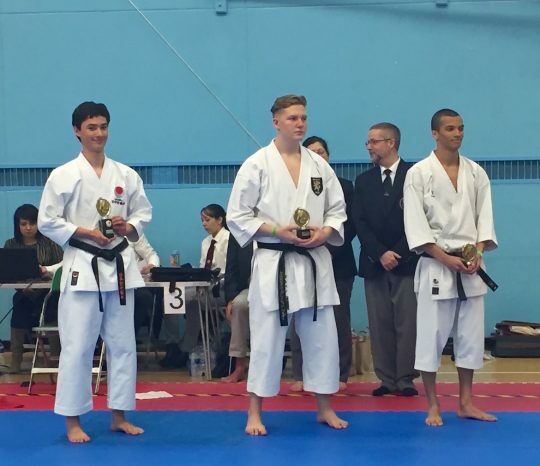 East London JKA’s Aaron Storey and Nathan Radford competed in the 19th Legend Open Shotokan Championships on Saturday 16th March, as part of the JKAE squad. 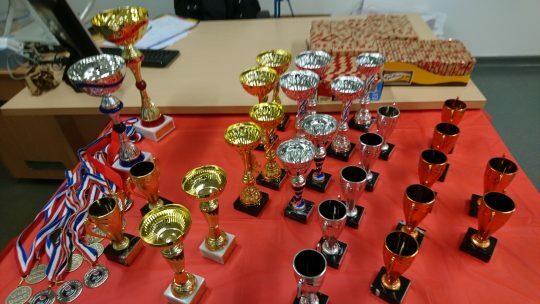 25 clubs and associations from the UK, Ireland, and Belgium attended, making it a very busy day ! 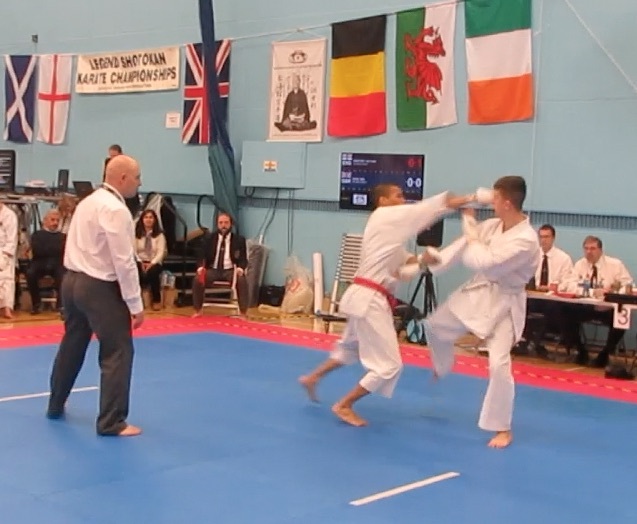 Both Aaron and Nathan competed in Kata and Kumite, and there were many entries in their categories, so they had to earn their way to the finals ! 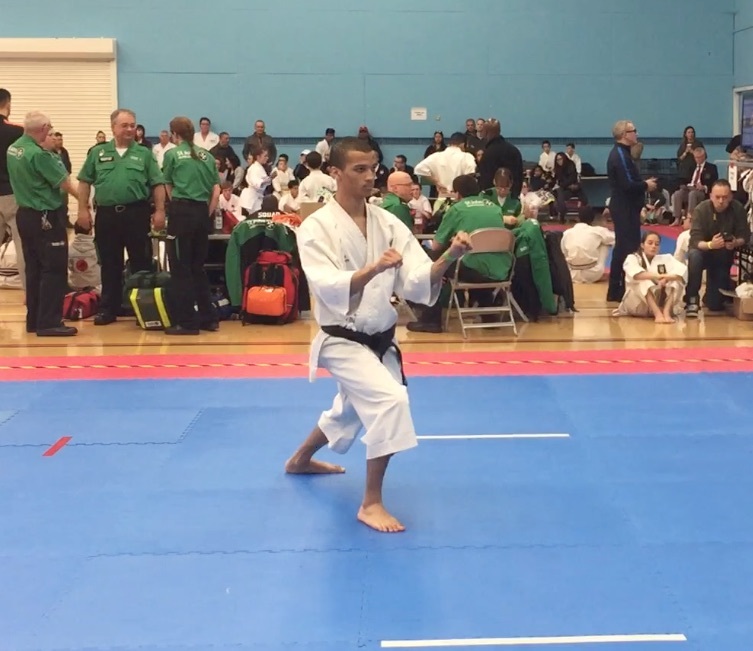 Nathan won Bronze in Kata, with Jion. Aaron’s performance was one of the highlights of the day, winning Gold in Kata with Sochin, Bronze in Kumite, and picking up a further 2 Silvers in Team Kumite. 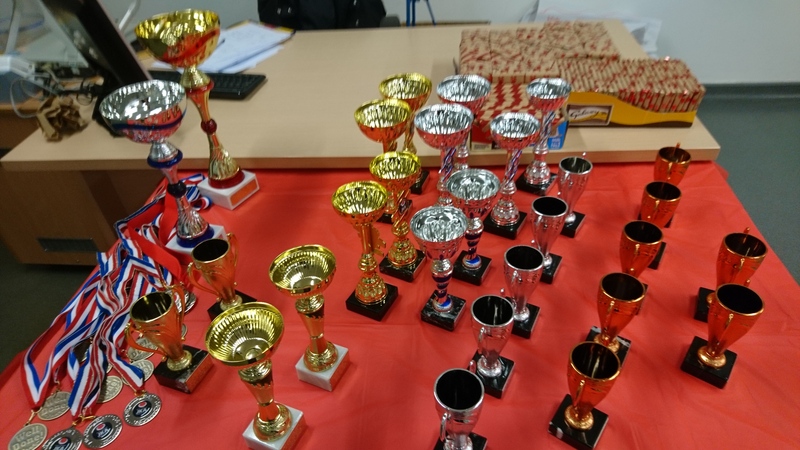 In recognition of his outstanding achievements on the day, he was also awarded Best Male Competitor by the organisers. 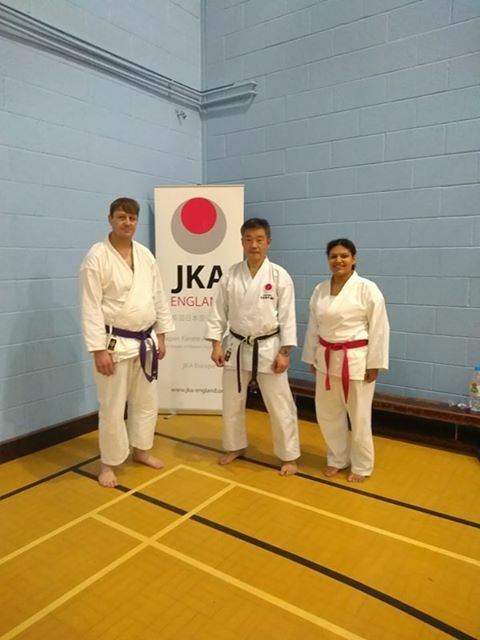 East London JKA Andrew Dalton and Charlotte Josephs where the sole representatives of the Club ,who attended the JKA England South East Regional Course held in Orpington, Kent on 10th March 2019. 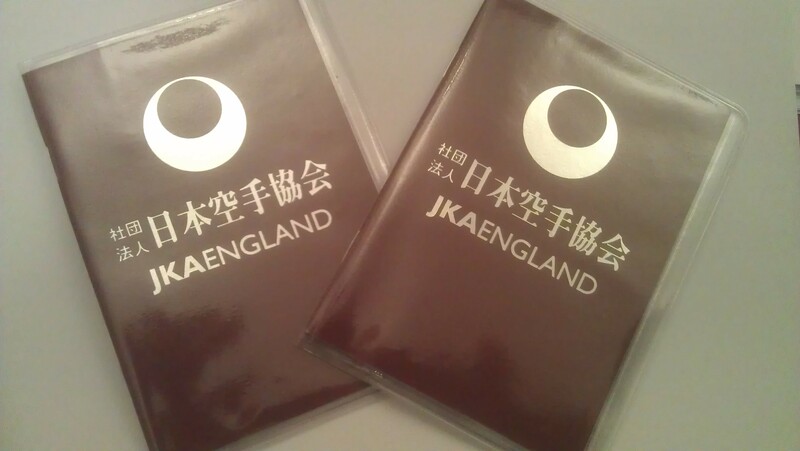 The course was led by Sensei Y. Ohta 7th Dan JKA England Chief Instructor who was assisted by JKA England instructors. After a warm up, Sensei Ohta led the whole class practicing Kihon basics. Starting off slowly with basic moves, blocks and punches then gradually increasing the speed and power of the moves. Then came more complicated moves and changing stances from front stance to back stance and into horse riding stance and applying a technique such as elbow strike, straight punch or knife hand block with each change of stance. 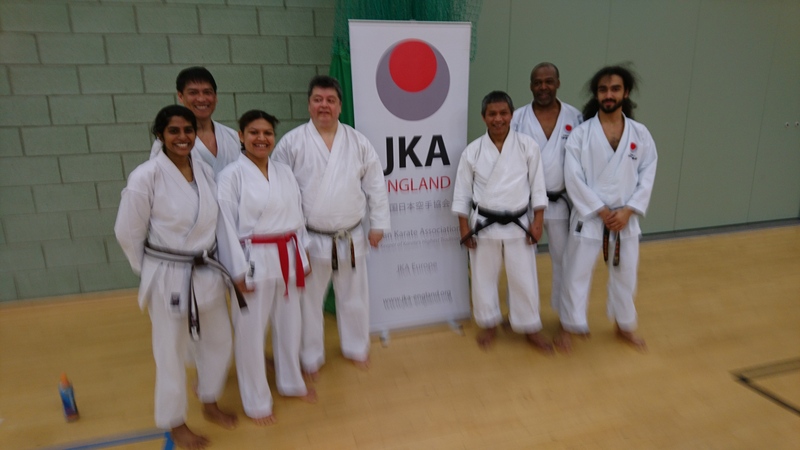 After a break, the class was split into two with Sensei Ohta leading the black belts and two JKA England instructors leading the coloured belts for some in-depth kata practice. Each student had ample practice of all the kata from kihon up to tekki shodan. The instructors were on hand to correct any mistakes and to help the students perfect the movements of each kata. Also as part of the kata training there were some demonstrations by the JKA England instructors of the application of the kata movements for self-defence also known as Bunkai in Japanese. This really helped us to understand and perfect the kata movements. Finally, the course concluded with seated meditation or moksu and after that there was an opportunity to have your photo taken with Sensei Ohta. It was an enjoyable course and a good workout and there was lots of knowledge taken home. 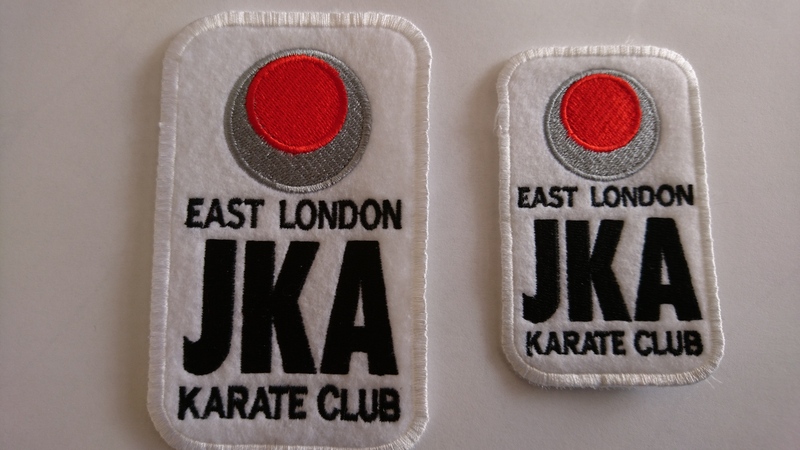 East London JKA Karate Club present at the Regional course held at Basildon over the weekend. Carlos Bastidas, Brian Williams, Aaron Storey Philip Fagcang, Mcbin Celibilio, Chaz Josephs, Savrya Vallabhaneni , (not in the picture but also attended Peter Gosponidov & Daniel Gosponidov). 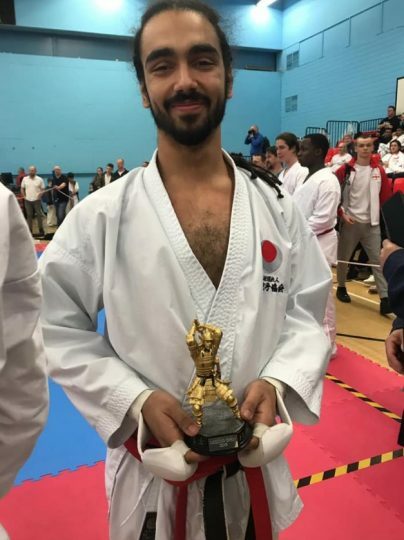 Started off with simple punching and blocking techiques gradually becoming more advanced and complex, we were made to work with partners pushing each other with speed, target and footwork (shifting and positioning). 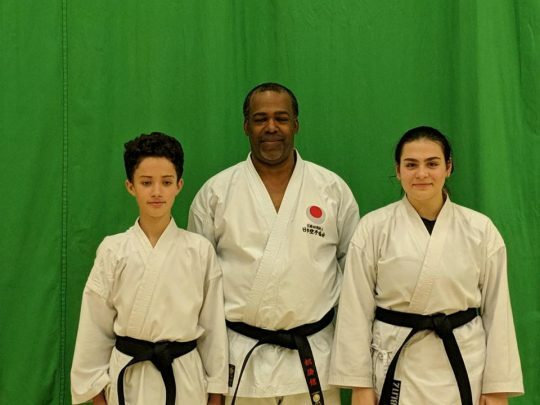 Drills developed onto KUMITE drills (very hard work both physically and mentally, however sensi Ohta was very patient with everyone and eased us all into the drills. 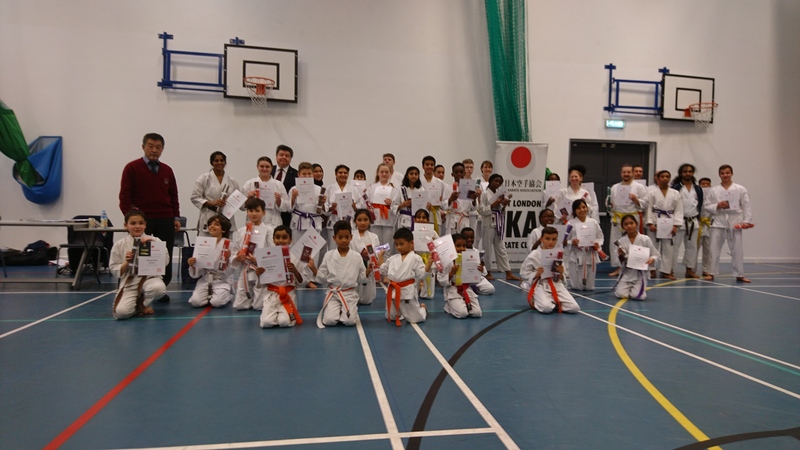 Course was finished with KATA for all grades with tips and points to take home and improve on. Great course, if you missed it make sure you attend the next one. 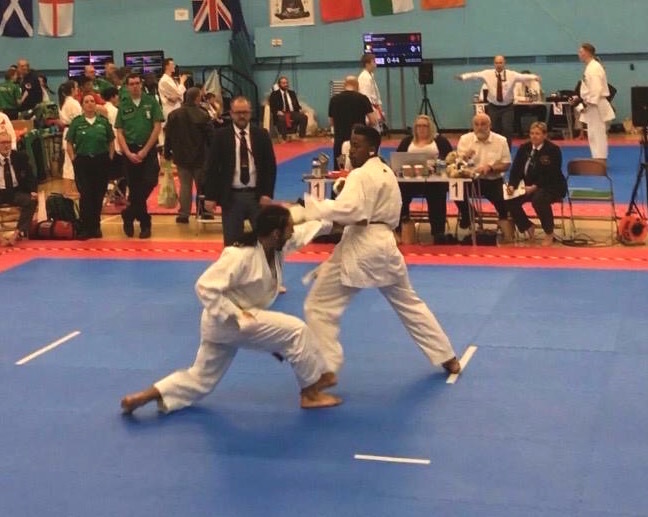 we cannot emphasise enough the importance of these courses as they are a great source of knowledge for future gradings and development of your karate studies. Only one observation form our point of view, regarding disappointing participation from our Club, 3 instructors and only 5 students we need to improve our attendance to the courses. Unfortunately we have been unable to secure enough competitors to warrant the holding of such an event. On behalf of our Club Committee our best regards to everyone. Please be aware that we will be checking all licenses start of 2019. All new starters who have been with the Club more than 4 weeks need to get a JKA England licence. If you cannot produce an in-date license you will need to renew before you can continue with your training. We will turn away all students with licenses out of date. Very hard training with Sensei Ohta for the two training sessions and a massive turnout by everyone. Thank you for your kind support with the Club.